Linux Appliance Design by Bob Smith, et al. by Bob Smith, et al. The book shows how to use librta to build a Linux appliance. Topics include appliance architecture, security, and how to build simple, yet responsive user interfaces. The book shows how to build five different user interfaces including a web interface, a command line interface, a front panel interface, an SNMP agent, and a framebuffer interface with an IR remote control. Using a series of web development examples, this book will give you an interesting glimpse into a powerful lower-level world. C is tight and spare and economical, and people who know C will ensure critical systems keep running. 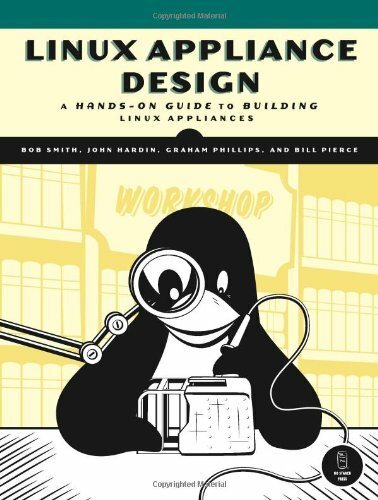 This book describes how to build a development environment based upon Linux systems. It provides a reference on the open source tools used for development, and includes information about editors, compilers, assemblers, debuggers, etc.